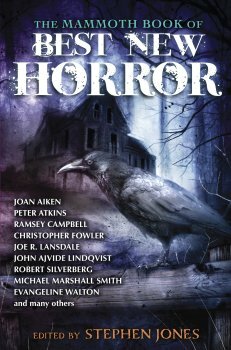 A compilation of supernatural tales that lift the curtain on the ever-present spectre of death and what may lie beyond. 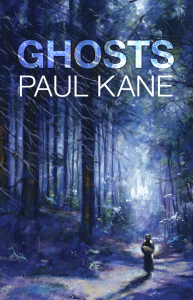 Ghosts is an enthralling collection of stories – some with a humorous touch, some thick with heartbreak and some which will chill to the bone – all of which will trouble the reader long after they have finished the final page. 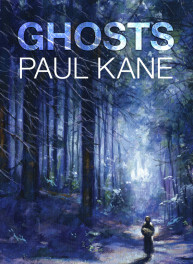 Although in theory short story collections are designed to be dipped into, this one is as compelling as a novel and no sooner has one story ended than the next drags you into its sphere of influence. The protagonists of all these stories are immaculately drawn – convincing and very realistic with foibles and neuroses like the rest of us. This makes it all the more shocking when they come up against the unexplained and the downright terrifying. In some of the stories the supernatural element is an extrapolation of very real human tragedy – the death of a parent or child – and in others it has a terrifying life all its own. 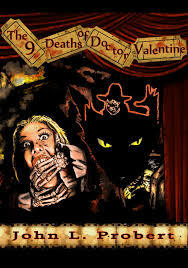 Two of the stories here are sequels to perhaps a couple of the most famous ghost stories of all time – Dickens’s A Christmas Carol and The Signalman. Some might consider it audacious to tackle these but they both work superbly – Humbugged as a dark comedy in which the ghostly visitors are attempting to get Scrooge’s descendant to stop being so compassionate and Signals as a grim tale of inevitability and destiny with an atmosphere as oppressive as the original and a circular logic about it which is as satisfying as it is horrifying.